It’s a park. It’s a part of the commons. 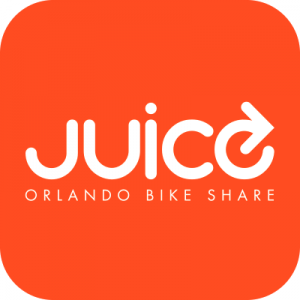 It’s an enhancement to the entire community… whether they ride bikes or not. It’s only a few 10ths of a mile long, but it connects two networks of pleasant, low-volume roads which are otherwise only connected by an arterial road. 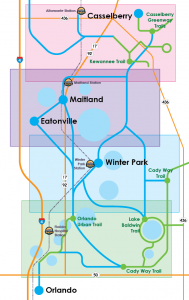 It connects neighborhoods to Downtown Winter Park. 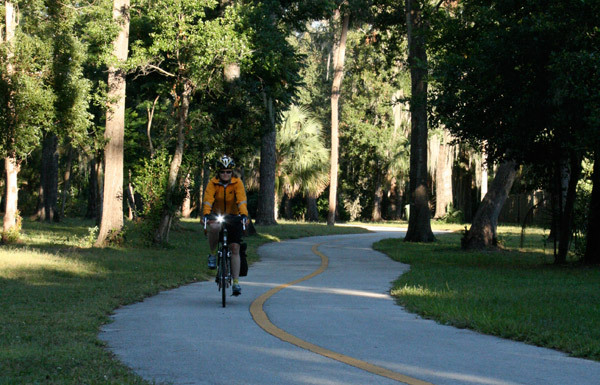 The little trail through Mead Botanical Garden offers an enjoyable route choice for novice and experienced cyclists alike. It’s part of my primary route home in the afternoon. 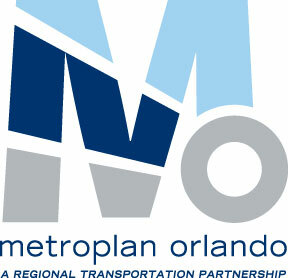 Pull out a road atlas of Metro Orlando sometime and look at all the low-volume residential roads that are no more than a few hundred feet from each other, but are part of networks only connected by busy arterial roads. With a few short penstrokes, you can connect a nearly-direct route from one side of this city to another in any direction. This is how we facilitate novice cyclists and help them learn road cycling skills. We give them low-volume road options. As they become more comfortable, they’ll move to bigger roads to expand their access. Isn’t that how we teach our teenagers to drive cars? We don’t put them on I-4 the first day. But we also don’t keep them on a protected, closed circuit or in a parking lot once they’ve demonstrated the ability to control the vehicle. And we don’t build special infrastructure for them, either, because we expect them to develop the skills of adult drivers. I recommend John Allen’s article on sprawl and connectivity. As I’ve worked up the metro bike network I’ve found a number of potential connections, but in most cases there is no right-of-way. Local governments are generally more interested in building longer recreational paths than making a better-connected nonmotorized transportation network. I think Orange County owns a lot of drainage ditches that might be used. Can we address land-use policy to require compatible easements in new development? Another annoying thing about much of the outlying development is gated communities. There have been many times over the years when I have planned out a route with a road atlas, only to discover a locked gate forcing me to use a busy arterial road where I hadn’t planned to. Google satellite is such a blessing for being able to figure these things out ahead of time. 100% on point. But as John Allen’s article points out, how do we go back and add access to the already-existing neighborhoods? First, who identifies where the connectors need to be? Second, who tries to ask the owners for right-of-way or an easment? Third, do the owners get any benefit by doing this? (ie property tax reduction, or something like that) …. Of course, there’s always the option/threat of “emminent domain” laws — taking land for the good of the “public”. Yuk! I did not like that particular Supreme Court decision and would hate to see that option enacted in any situation …..
And you get the whole NIMBY resistance, too… especially with the gated communities. Orlando has had such requirements in their codes for quite a few years. The counties have been reluctant. Soapbox interlude: this would be yet another thing a local cycling advocacy org could tackle (hint, hint). this would be yet another thing a local cycling advocacy org could tackle (hint, hint). That’s kinda the unformed “we” I had in mind.